Connecting You with Buyers for 25+ Years. business buyer audience where they’re most active. Not just technologists. Not just advertising sales people. We are franchise people putting digital and search marketing to work for you. Since 1995. Growth-minded franchisors understand the need to be present upstream and early in a potential buyer’s process, with a clear path to winning more sales connections. 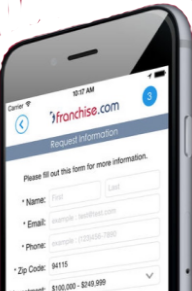 Keep you brand in front of today’s franchise & business buyers wherever they’re searching for the next great opportunity. We help franchisors like you that have your eye on a development goal to get your share of potential buyers. You could be a well-established system or just starting out, but if you are managing a franchise development plan, you are who we help!